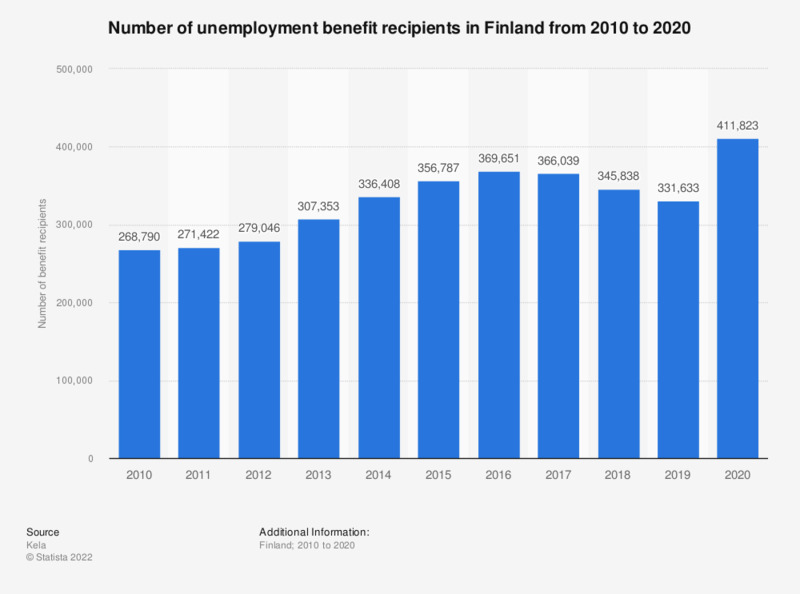 This statistic shows the number of unemployment benefit recipients in Finland from 2006 to 2016. During the given time period, the number of recipients was lowest in 2008 with 235,580 unemployment benefit recipients. There was a total of nearly 370 thousand unemployment benefit recipients in 2016. These figures include all recipients of different types of unemployment benefits.